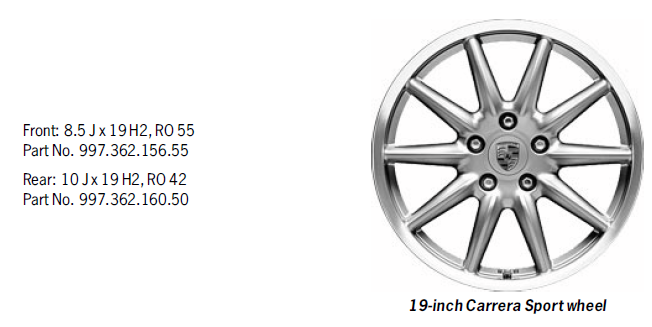 Anybody know the part number for the Carrera Sport or Carrera S2 wheel for the Cayman? i tried to get a price from Sunset - and the only thing they could find was the wheel / tire package. i already have a brand new set of Bridgestones on my Carrera S wheels - just thinking about a new look. but that part number includes tires ... isn't there a part number for the wheels without tires? what if you only needed 1 wheel? The part numbers are next to the wheels.